Open Channel: Why the Hell Does Anyone Live in Gotham City? 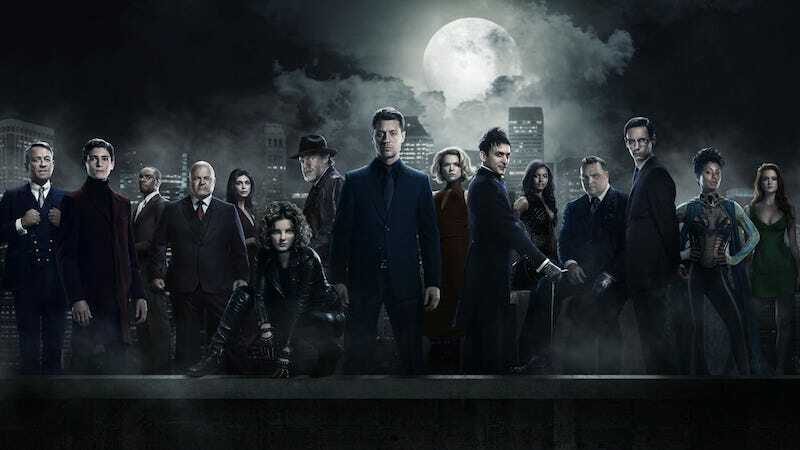 I’ve been watching Gotham on and off for the past few years and while the show’s insanity is one of its best qualities, it’s also left me with a burning question that I’ve never been to figure out: Who the hell would willingly choose to live in Gotham City? Also, like, why? Moving to Gotham is like asking to die. There are countless benefits to living in a big, bustling city that never sleeps—like solid public transit, more job opportunities, and having access to rich and vibrant culture scenes. But it’s difficult to take advantage of those metropolitan perks when you can’t leave your apartment because yet another dangerous lunatic with a history of murdering people has escaped from the insane asylum in your backyard. But it’s not just one lunatic breaking out every so often, oh no. We’re talking squads of crazies periodically going on killing sprees, making fools of the local police, and turning normally fun things like magic shows into death traps. It’d be one thing if real estate was cheap in Gotham (which, to be fair, it might be) but Gotham, the show, has always given off a distinctly Chicago-esque vibe. There may be cheap places to live here and there in the city, but living in Gotham probably means putting down some serious cash on a monthly basis. All of this, again, brings me to a question that I now pose to you, dear reader: Would you shell out an arm and a leg (and some cash) to live in Gotham? Why does anyone?